Dual SIM dual standby (DSDS) setup is standard in almost all smartphone brands available today except for iPhones, but that might be changing soon as recent reports has it that Apple might be working on equipping it's 2019 iPhone models with dual SIM capabilities. 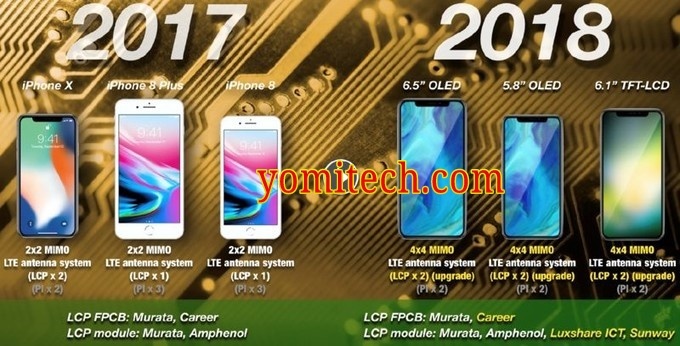 According to Ming Chi Kuo from KGI securities who is known for many accurate Apple predictions, the 2018 iPhone models will support gigabit LTE speeds, just like the Note 8 or Galaxy S8 and also Dual SIM Dual Standby (DSDS) SIM setup. Apple will implement a faster module which will feature 4x4 MIMO setup instead of the current 2x2 antenna modules. Samsung's Galaxy Note 8 features the 4x4 MIMO antenna module instead of the 2X2 on the iPhone X and in a recent speed test which was conducted, the Samsung galaxy note 8 beat the iPhone X with up to 2x the speed. "2H18 iPhone models won't only offer faster LTE transmission speed: We predict that at least one of the 2H18 new iPhone models will support dual-SIM dual standby (DSDS). Unlike existing DSDS phones, which commonly support LTE+3G connections, we believe next-generation iPhone models will support LTE+LTE connections, in a bid to enhance the user experience." Base on the memo above, the newer iPhone models will not just support dual SIM dual standby both LTE + LTE on both Sims unlike the LTE + 3G you find on most android devices. This means that you will be able to use LTE on both Sims simultaneously. An earlier note by Kuo has said Apple will launch three models of the Apple iPhone in 2018, and one will be mid-range variant with a more affordable pricing. Also the notch on the top and the Face ID scanner are here to stay.